Vishakhapatnam: Australia defeated India by three wickets in the thrilling first T20I here on Sunday evening. Needing two off the final ball, Pat Cummins hit towards long-on and stole the required runs. The Kangaroos smashed two boundaries off Umesh Yadav in the last over. Australia edge India in a Vizag thriller! 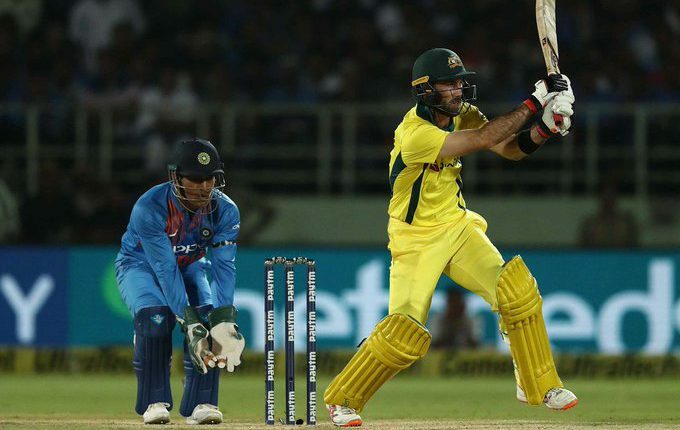 For Australia, Glen Maxwell top-scored with a 56 off 43 balls and Darcy Short made 37 off 37 balls, while Jasprit Bumrah of India took three wickets. Earlier, put into bat, the men-in-blue scored 126 for 7 in the stipulated 20 overs. K.L.Rahul top scored for India with 50. Nathan Coulter-Nile of Australia won the man of the match award for his for his excellent bowling figures of 4-0-26-3. The second and final T-20 will be played in Bengaluru on Wednesday. After it, the two teams will play a five-match ODI series starting from March 2.